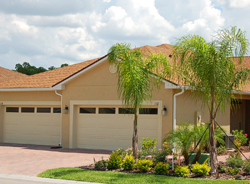 Vienna Square is the finest senior living community. The best in Florida retirement communities, it offers you luxury on a budget with a centralized location and many great amenities and features. Rated as one of the best retirement communities in the area, we strive to exceed your needs and make you feel right at home. Located in Winter Haven, it is central to both of Florida’s coasts. It offers golfing, fishing and many more outdoor activities. Florida offers great weather all year long for an active outdoor lifestyle. Take your visiting family around the Winter Haven area to a sporting event or a local eatery. Go shopping or visit museums. You can even visit a country club or fly over one with a bi-plane ride. One of the most unique features we offer is our continuing care program. 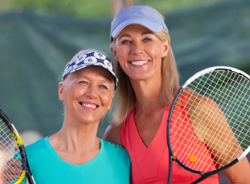 You can enjoy a vibrant lifestyle while you are active and independent and, should your health needs change, you can move within the community to get the care you need. We offer assisted living, skilled nursing and rehabilitation services right here at Vienna Square. Designed for those who like the idea of community and building friendships, we offer an a la carte menu of services such as housekeeping, chef prepared meals and more. We seek to provide you with a level of choice in healthcare and other services normally unheard of in other retirement communities. That is part of what makes our senior living community ideal for many retirees. Many Florida retirement communities give you the opportunity to enjoy the events and amenities of their communities but with limitations or restrictions on traveling or without the homeownership benefit. Also, many communities do not offer single-family homes and maintenance-free villas with great features. Instead, they might offer manufactured homes or apartment living. Our homes and villas include basic cable television, monitored home security systems and a security gate into our community for your safety and peace of mind. You can feel safe and secure without worry in our senior living community. 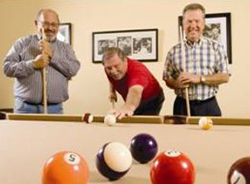 Our senior living community offers you comfort throughout the remaining years of your life. 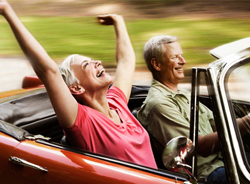 We have reinvented retirement so you can feel young again. Play golf or go fishing. Spend time relaxing beside the pool or laughing with old friends. It is time to enjoy retirement as it is meant to be. Contact us today to learn more about our community and the many great benefits Vienna Square has to offer. Our friendly and professional staff is eager to assist you and provide you with the necessary information you need to make the best choice about your retirement plans. We are here to answer your questions and address any concerns you may have. It is time to enjoy a senior living community as it is meant to be enjoyed.